$1,999 due at lease signing, on approved tier 1 credit through INFINITI Financial Services. VIN KM517704, KM517211, KM517140, KM515413. Closed-end lease for 39 mos. Amount due at lease signing includes 1st payment, $0 security deposit, tax, license & fees. Drive-off example based on 9.5% tax rate and actual amount may vary. 10,000 miles per year with $.25 per mile thereafter. Offer expires 4/30/19. See a sales manager for details. $2,399 due at lease signing, on approved tier 1 credit through INFINITI Financial Services. VIN KA007640, KA009494, KA009259. Closed-end lease for 39 mos. Amount due at lease signing includes 1st payment, $0 security deposit, tax, license & fees. Drive-off example based on 9.5% tax rate and actual amount may vary. 10,000 miles per year with $.25 per mile thereafter. Offer expires 4/30/19. See a sales manager for details. $1,499 due at lease signing, on approved tier 1 credit through INFINITI Financial Services. VIN KC553911, KC534881, KC532976, KC549076, KC549273. Closed-end lease for 39 mos. Amount due at lease signing includes 1st payment, $0 security deposit, tax, license & fees. Drive-off example based on 9.5% tax rate and actual amount may vary. 10,000 miles per year with $.25 per mile thereafter. Offer expires 4/30/19. See a sales manager for details. 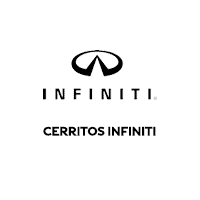 $2,999 due at lease signing, on approved tier 1 credit through INFINITI Financial Services. VIN K9686821, K9686956, K9686988, K9686940& K9684717. Closed-end lease for 39 mos. Amount due at lease signing includes 1st payment, $0 security deposit, tax, license & fees. Drive-off example based on 9.5% tax rate and actual amount may vary. 10,000 miles per year with $.25 per mile thereafter. Offer expires 4/30/19. See a sales manager for details.